Unlike in annual system of education where teachers predominantly depended on lecture method of teaching and barely engage with students outside the classroom, teachers today are seen in continuous academic engagements from the beginning to the end of academic session. This change started in Tribhuvan University after introduction of semester system in 2014. Drastic change has taken place in teaching-learning activities. Students perform better than in the past. Classrooms are full of academic activities. Teachers closely supervise students’ academic growth and work many hours beyond the classroom. Teachers are not ‘transmitter of knowledge’ and students ‘passive minds’ as it used to be thought of in the past. Teachers serve as facilitators. They listen to students put forth their ideas and train them to read perceptively, think critically, and write analytically. Semester system allows students to respect each other’s ideas, analyze, study and share those ideas. Students are not ‘passive receivers of knowledge’ but readers, critics, writers and knowledge-makers. They write term papers for each prescribed course in all four semesters. I feel delighted when students come up with brilliant ideas and make presentations, complete writing assignments on time, prepare for quizzes and participate actively in group discussions. Today they are active agents in the process of knowledge production. 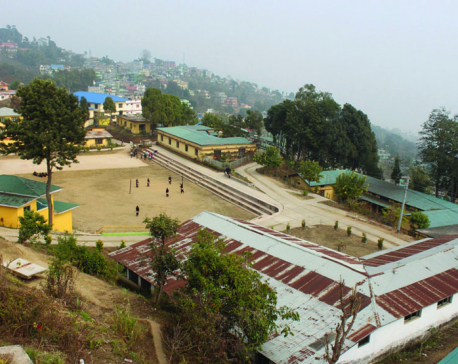 But TU officials seem quite indifferent towards problems of teachers and students. They fail to provide even an office space for teachers and classrooms for students. Even today a TU teacher lacks a chair and table to sit on and assist students in research works and help solve their problems. TU officials, take note of this. Teachers and students face genuine problems every day. Generally, in every central department of Humanities and Social Sciences, Management and Education Faculty, there is a big hall for all teachers and students if they want to meet after or before the class. It is so difficult to concentrate in the noisy environment. There is no alternative to semester system that has been reintroduced in TU after many years. Students trained in semester system undergo a rigorous training under close supervision of teachers and a multiple layers of evaluation. This has prepared them to enter the job market with confidence. Besides, this system is widely used in the world. But mere change from annual to the semester system does not work. We have seen how it failed in the past. Office bearers of TU, particularly Executive Council and the Office of the Dean must display unwavering commitment and unflagging determination with profound sense of responsibility to lead the semester system to a success. First, TU should properly manage infrastructure. There should be modern classrooms equipped with comfortable chairs and tables set in circles so that it is easier for students and teachers to engage in discussion. There should be internet facility, over-head projectors, and libraries with online databases, canteens and toilets. Any one visiting constituent campuses of TU can see bushy plants and unwanted weeds, cow dung, feces in the classroom, cobweb hanging in the ceiling, stinking toilets, dirt, plastic bags, chocolate and noodle wrappers littered everywhere on the ground. Second, TU should maintain proper class size and adopt effective pedagogy and scientific evaluation system. We still keep more than 50 students in a classroom. To examine term papers and their other writing assignments of huge number of students is taxing. Students may not get proper feedback. Officials at the Registrar Office point to the lack of physical infrastructure and efficient human resources when better infrastructures are demanded. Ironically, it is its own responsibility. 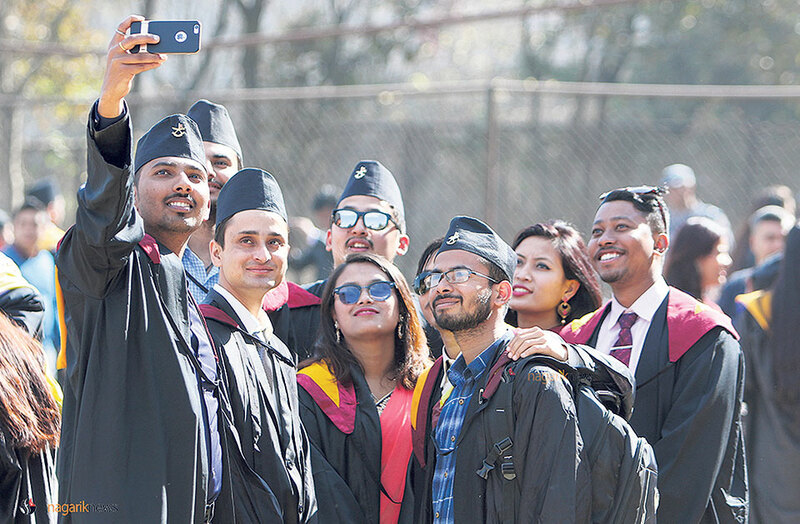 How can TU have sufficient human resources when Tribhuvan University Service Commission (TUSC), which is solely responsible for ‘holding competitive examinations and interviews for applicants wishing to enter university service and to recommend the successful candidates for appointment to positions of teaching and administration, takes more than five years to complete a process? TUSC should call for applications to fill the vacant posts every year. Under semester system, teacher’s workload has doubled but their salary has not increased. TU should provide perks and facilities as per their workload. Third, TU should pay particular attention to revising and updating the syllabus on time in order to incorporate recent trends in different disciplines. The beauty of semester system is that students have multiple choices in the courses offered. But that is not happening. TU should trust its own faculty to design the courses and train them for the use of effective pedagogy and objective evaluation. Let the same teacher design the course, teach it and evaluate students. Today, somebody else designs the course, another teaches it and the third party evaluates students. This is against the spirit of semester system. In my decade long teaching experience, I have not seen TU organizing teacher training and research workshop programs except the ones conducted by my department. Classes are going to begin across the country from March 9, 2018. Teachers, who are used to with annual system, are complaining of not being familiar with the GPA grading and other nuances of semester system. TU must lay the groundwork for strengthening newly adopted semester system.